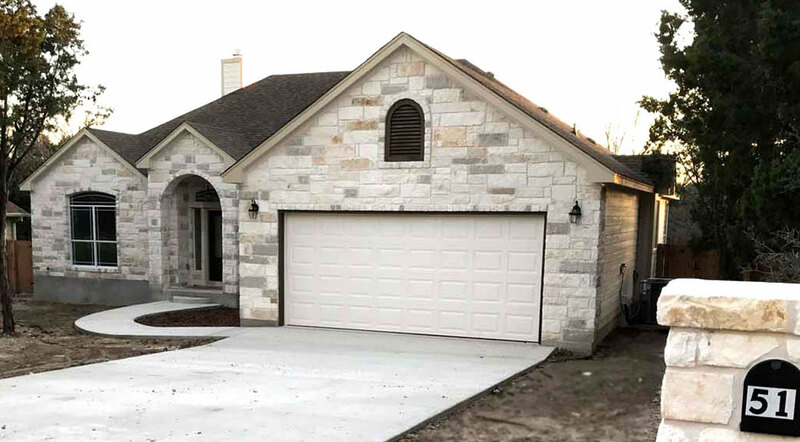 Workman Development has been building quality homes in the Central Texas area region, which includes San Marcos, Kyle, Wimberly, and New Braunfels Texas, since its inception. Our flexible floor plans can be customized to fit your needs, and provide outstanding architectural detail that will provide you and your family years of comfort and enjoyment. Workman Development focuses on great hill country living and build a variety of outstanding homes. We promise to provide you and your family with exceptional value, style and design. The Build on your lot (land) concept is simple. Use a lot you already own, or pick the exact lot, land or property that you want to live on. We will help you find that perfect lot. We can connect you with reputable Realtors who will be able to provide you with information on lots and land in the Texas Hill Country areas that we build in. We can often include the lot with your building package to minimize additional funds required to get into your new home. The next step is to finalize a floor plan. Whether you have a floor plan of your own or choose one of ours, we can modify it to suit your needs. Or we can design one from scratch. We’ll then price out your home based on our standard features and you will not have to worry about any costs going up during the building process. If you want to upgrade any feature, you will be quoted a price that is firm during the time your home is being built. Buying your new home is probably the biggest investment you will ever make. We know you will have questions regarding the process of buying and building your custom home. We are ready to answer those questions and show you the path to owning a home that is your dream.